-- This is the post-war (1949) version. 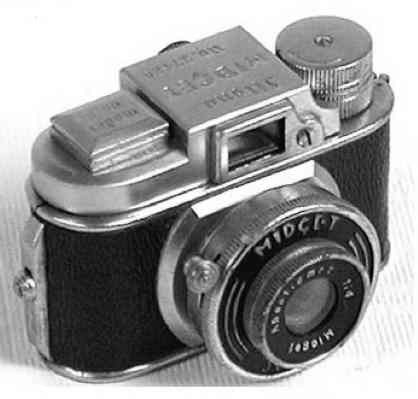 Nearly identical to the later version of the model 1. 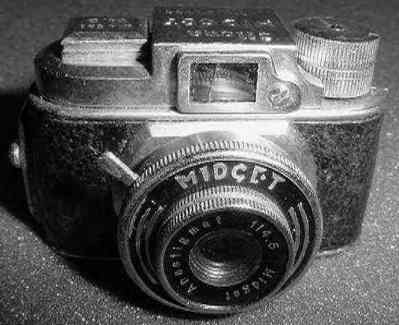 Fixed-focus 20mm (f4.5) lens. Speeds of I (1/50) and B. -- A 1950 version. Fixed-focus 20mm (f4.5-11.0) lens. Speeds of 1/25 - 1/100 and B. Shutter release moved from lens to top of camera body.